Mia is currently the President of Oxeon Partners Invested Search business and has spent the past 20 years working in the healthcare industry, holding commercial leadership roles in the pharmaceutical, medical technology, and executive search industries at companies such as Merck, Guidant, Boston Scientific, Russell Reynolds, and Oxeon and has spent the past four years in Executive Search partnering with high growth, innovative healthcare organizations, boards, and investors to build out their leadership teams. 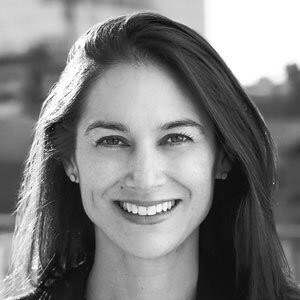 Her most recent projects have included work with VC, Private Equity, and public company backed organizations in the precision medicine, artificial intelligence, telemedicine, mobile health, specialty pharmacy, and data and analytics space. She is fiercely committed to helping her clients build diverse and cohesive leadership teams. Mia combines her experience working within an innovative and disruptive organization while advising similarly oriented clients. Her experience with great teams, innovative technology and global sales and business development are utilized across all of Oxeon Holding’s Healthcare Growth Services businesses. Mia was attracted to Oxeon’s mission to help make people healthy as well as its rich culture. Mia cares deeply about health (her own and others) and if she is not found spending time with her family or twin sister’s family, she might be at a 6am Soul Cycle or Barry’s Bootcamp class. Otherwise, the majority of her time is committed to helping innovative healthcare organizations find rockstar leaders and grow as efficiently and effectively as possible. She currently lives in New York City (a short walk from the Oxeon office) with her husband Scott and two children, Nixon and Lexi. Mia earned her undergraduate degree in Communications and Business at Villanova and has an MBA from Columbia and London Business School. At Columbia she served as the Co-Chair for Sanford Bernstein’s Ethics and Leadership program. She also serves on the advisory committees for The Moth and David Lynch’s Generation Meditation Foundation.